Who’s the Boss Lady? | Y'all Behave! Part of the reason I have had little to no resistance in the Love-of-Miss-Cheryl department, is that I have had almost exclusively male charges. Out of over a dozen families I have nannied for, almost all have been boys. This has amazing advantages because- for lack of any other way to describe it- little dudes dig me. They recognize that, like them, I’m up for anything, I love being outside, and I horse around. On the flipside, when there is a girl thrown in the mix, it is an unexpected treat, and a true chance to hone my female-bonding skills. I found Boss Lady and her folks through another family, and could not wait to meet her. When I arrived at her house, she was shy at first but eventually warmed to me, and we played a bit. But the first time her folks went to leave for the evening, she went into hysterics, crying so pitifully, I wondered that she would ever stop…she did…less than five minutes after they closed the door. I texted a smiling picture of her to Mommy and Daddy, so they wouldn’t worry about their precious little girl. As is often the case with kiddos, the separation anxiety is minimal once parents are out of seeing and hearing range. It’s not that they are out of sight out of mind, but the children realize it’s futile to carry on when they are but a proverbial tree in the woods- if there is no parent to feel sorry for them, is it worth it? And so I spent my first days with Boss Lady. Adorable doesn’t do her justice. She is not only ridiculously good-looking, but moreover is the sweetest, funniest, liveliest little gal! I pride myself on my ability to stay at least impartial enough to discipline when necessary, but should the day ever come when Boss Lady misbehaves, my abilities shall truly be tested. We spent our time drawing, talking, dancing, singing, walking, playing- this girl is active! But time and time again, after having an amazing morning or evening, she would cry at my arrival the next time. I began to feel like a guy who takes out his dream girl to the French restaurant, tells his best jokes, gets a good night kiss, then she won’t return his phone calls. It became, for me, a courting process. Boss Lady was playing hard to get? Well prepare to be wooed! I really pulled out all the stops for her. Meticulously cut snacks, impressions of her favorite animals, chalking a portrait of her as the animal of her choosing- a different one every time, whatever it took, I did. Eventually my efforts paid off and I’ll never forget the first time her folks went to leave for the evening and instead of begging to be picked up, she said “Gye Gye!” and turned back to playing with me. Her folks were so happy for me, they knew how hard I’d been trying to win her affections. I beamed with pride(my persistence had paid off! ), but more so with joy(she loves me! She really loves me!). Now we still have days when she balks at Mommy and Daddy leaving, it’s only natural. So, naturally, I add to my repertoire. 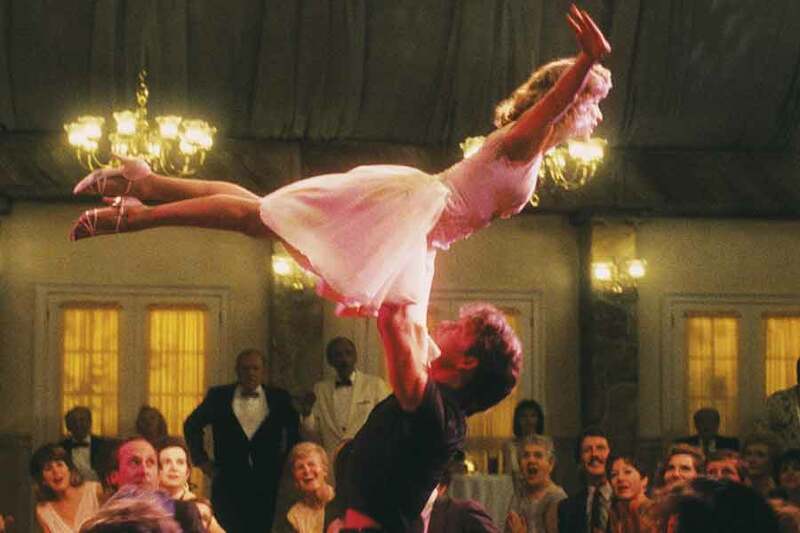 Just yesterday, after a tearful goodbye to Mommy, I went for broke and did the “big move” of Ryan Gosling’s character in Crazy Stupid Love, and had her run and jump, as I picked her up, just like Patrick Swayze and Jennifer Grey did in Dirty Dancing. As always, her laughter and asking, “Again!” elicited a glow that only comes from a nanny who knows that some girls are just worth it. Persistence and care paid off!! Indeed they did! Now we’re best girlfriends!